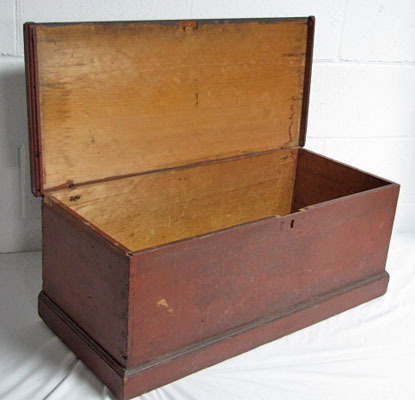 Very early storage or valuables box dating 1780-1800. Dovetailed construction, square nailed trim, snipe hinges, has the original dry red paint. 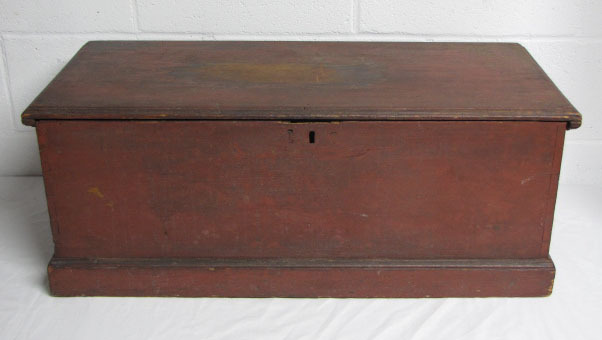 Late 18th century New England box in honest paint and condition.